The difference between the nose and the palate is remarkable, with the latter being much more in your face than expected. Nonetheless, this is another excellent anniversary bottling for Bresser & Timmer. Quite earthy, but also plenty of sweet cereal and grassy notes. 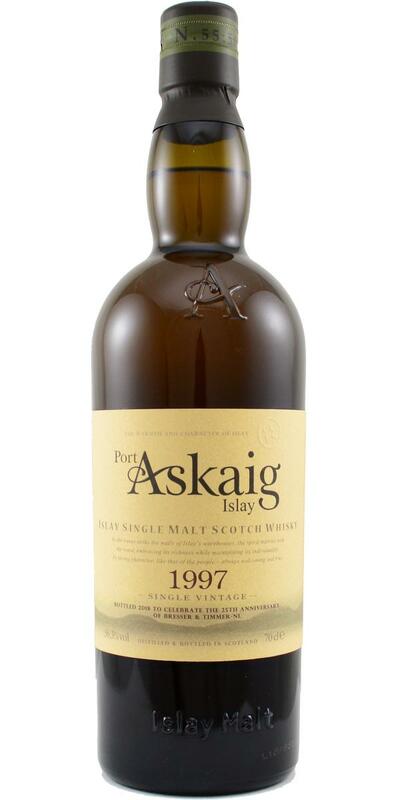 Yes, it is heavily peated, but shows good balance and maturity. Tart green apple and lemon peel, with a roasted peanuts and honey-glazed walnuts, as well as pickled onions. Soot, lots of ash, and tar as well. Much more intense than the nose (and the age) suggests. Pretty medicinal too, and a good amount of salt and sal ammonia, followed by licorice and cracked black peppercorns. Lingering medicinal peat and salt. Long.